How to Scrapbook Your Personal Heritage is the newest eBook release from Ella Publishing and I have to say this was one that I was really looking forward to. Due to the limited amount of time that I have to scrapbook, I'm lucky to keep up with the current, day-to-day of my daughter's life. I do realize that I am largely missing from my creations and I always feel a need to go a little deeper, but never quite sure where to start and I hoped this eBook might give me a few ideas. 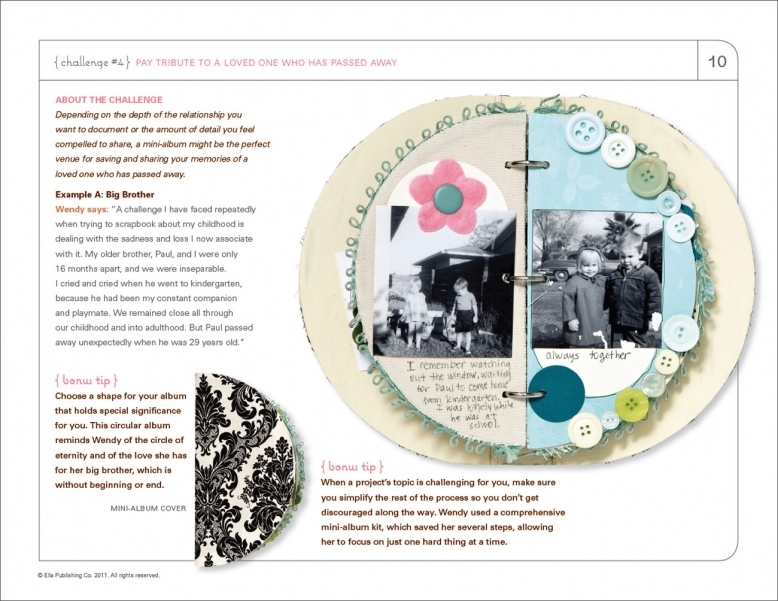 You might think that this eBook is all about scrapbooking the lives of those that came before you...and you would be right, to a degree. 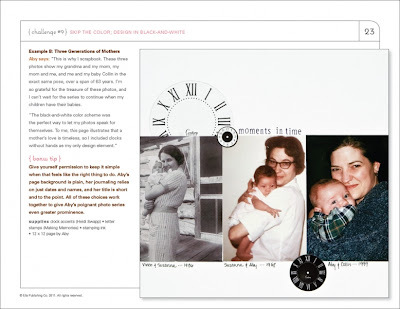 "...we both set out to scrapbook our family heritage, but we soon realized one thing: our heritage starts with us. We found ourselves taking a very broad view of the term 'heritage', focusing primarily on our own childhood memories, our memories of parents and grandparents, our personal connections to people who live before us, and our feelings about the values and traditions they passed on to us." 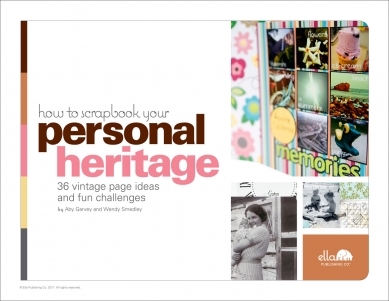 In this eBook, Wendy and Aby share 12 challenging to get us thinking about (and scrapbooking) our heritage in new and interesting ways. Ways that will have an infinitely greater value for those to come than a picture a couple on their wedding day, a couple of names and a date. #3: Find and narrate a photo that's very nostalgic for you. #7: Make a page about a childhood idol or hero. I also appreciated the fact that Wendy and Aby expressed that there isn't always for a specific photo to go along with your memory. You can go photoless or find an image of an object or place online that might help to complement your story or memory. 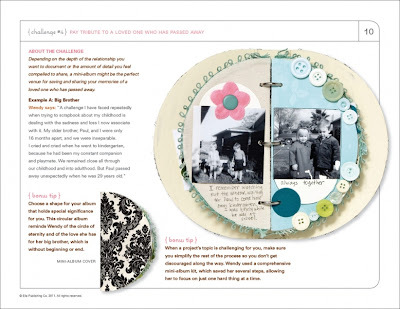 If you're looking for ways to scrap your heritage in a more meaningful way for yourself and those you love, How to Scrapbook Your Personal Heritage might be just the ticket for you. Who was your childhood idol or hero?